Chicago-based filmmaking houses One City Films and Kartemquin Films are teaming up to present a double-bill of activist documentary shorts: the world premiere of F*** Your Hair, from One City Films, and ‘63 Boycott, directed by Kartemquin founder Gordon Quinn, and shortlisted for an Academy Award in the Documentary Short Subject category. The films will screen together on January 25, 26, and 30 at the Gene Siskel Film Center at the School of the Art Institute. Filmmakers and subjects will be present at select screenings. Tickets are on sale now. Purchase here. ‘63 Boycott revisits October 22, 1963, when more than 250,000 students boycotted the Chicago Public Schools to protest racial segregation. Many marched through the city calling for the resignation of School Superintendent Benjamin Willis, who placed trailers, dubbed ‘Willis Wagons,’ on playgrounds and parking lots of overcrowded black schools rather than let them enroll in nearby white schools. Blending unseen 16mm footage of the march shot by Kartemquin founder Gordon Quinn with the participants’ reflections today,‘63 Boycott connects the forgotten story of one of the largest northern civil rights demonstrations to contemporary issues around race, education, school closings, and youth activism. 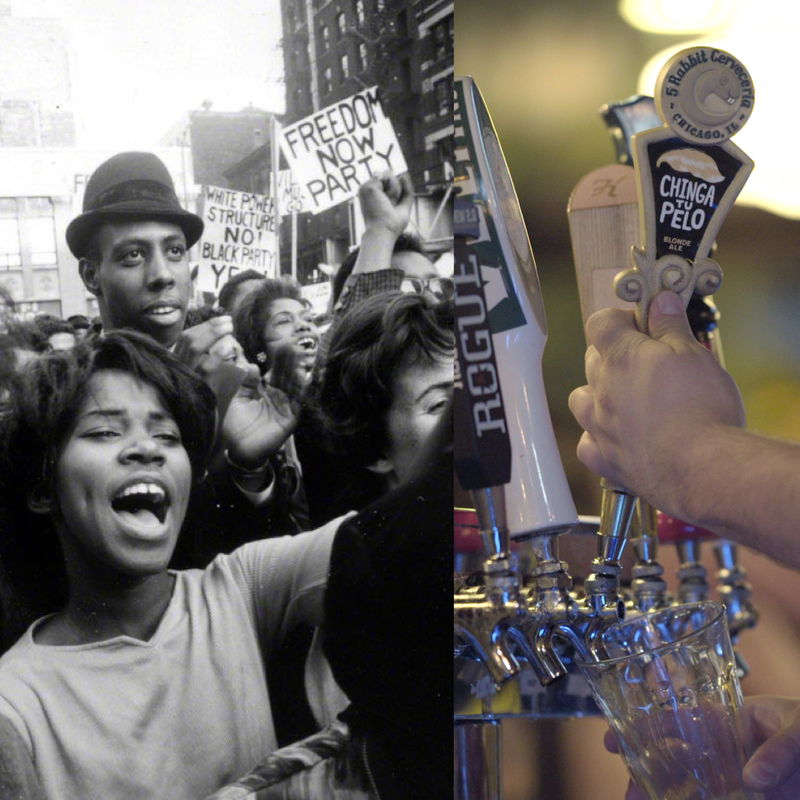 ‘63 Boycott is directed by Gordon Quinn and produced by Rachel Dickson and Tracye A. Matthews. F*** Your Hair tells the story of 5 Rabbit Cervecería, a craft microbrewery just south of Chicago, that stood up to Donald Trump and risked nearly everything in the process. In 2014, Andrés Araya and Mila Ramirez, Latin American immigrant owners of 5 Rabbit Cervecería, were awarded the contract to brew a house beer for the 5-star Trump International Hotel and Tower in Chicago’s glamorous River North neighborhood – a huge opportunity for the fledgling craft brewery. However, the kegs were not flowing long before Donald Trump announced he was running for president, and with that announcement, he called Mexican immigrants “rapists,” and accused them of “bringing drugs [and] crime.” Andrés was troubled by these comments and faced a moral dilemma: how could he profit from such hate? To Andrés and Mila, inaction would be tantamount to support, but would leaving Trump, cutting off a vital financial lifeline for their young brewery and potentially exposing them to costly litigation, be worse? F*** Your Hair is the first time 5 Rabbit tells the rousing true story of how they “dumped Trump” and inspired Americans with their bold and enduring act of protest. F*** Your Hair is directed by Jason Polevoi, and produced by Jason Polevoi, Nick Jenkins and Teddy Wachholz.